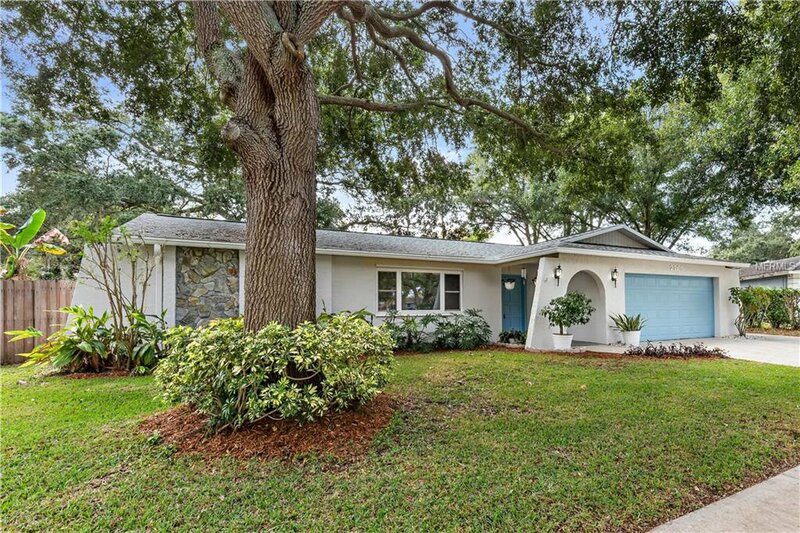 Now is your opportunity to own a one-story home in the treasured Brookside neighborhood with this well-maintained 3bd/2ba/2cg. Wonderful location close to schools, 15 mins to the beach or boat ramp, near the area's best shopping, and less than a half-hour to the airport. Brand new roof (7/18), newer AC (8/15), freshly painted exterior, and upgraded kitchen with granite counter-tops, light cabinets, tile flooring, and stainless steel appliances. Many options to gather the family with eat-in kitchen space, breakfast bar, and dining options in both family or living areas along with storage cabinetry. Spacious master bedroom with ample closet space where you'll enjoy privacy in this split-bedroom plan home. Master bath has an updated easy-access walk-in shower. The indoor laundry room will be pleasing on the hot summer days. Enjoy your slice of paradise relaxing under beautiful magnolia trees while sipping your favorite beverage in the outdoor patio space. Plenty of room in this fenced beautiful back-yard to have friends gather around an outdoor fire on chilly Florida evenings. Brookside is a quaint community with ~110 homes and low HOA fees ($35/year). Don't delay....make this your Home Sweet Home!! Listing courtesy of CHARLES RUTENBERG REALTY INC. Selling Office: COLDWELL BANKER RESIDENTIAL.